As the holiday season begins, people often head to a local mall or shop online to find the perfect gift for friends and family. This often becomes instinctual and routine rather than a yearly tradition that’s exciting and fun. But it doesn’t have to be that way. Instead of mindlessly heading out to the mall, consider why people give gifts during this time of year. For many people, the holidays are about making time to show loved ones how much they are appreciated. Therefore, a gift should have personal significance and be useful, without being hard on the wallet. Here are some unique ideas that might change your holiday-gift buying strategy. 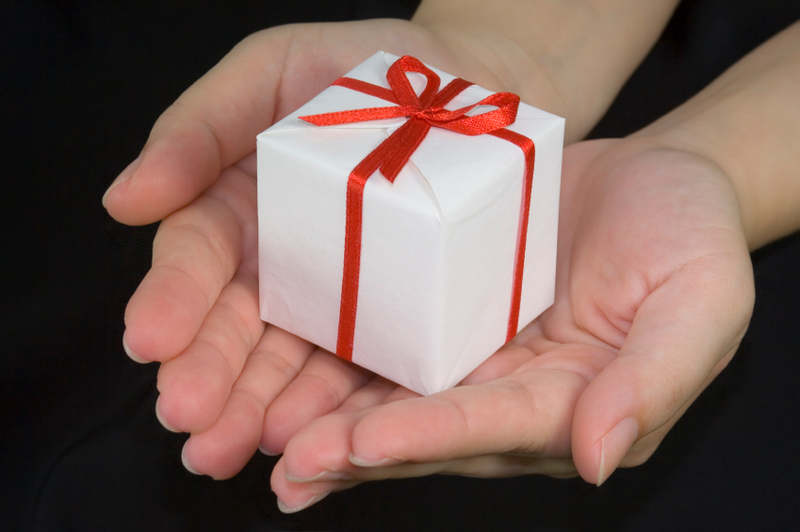 Consider a charitable donation in the gift recipient’s name. Choose a charity or cause that your loved one is interested in to show that you’re invested in what matters to them. And as an added bonus, you’re supporting a good cause. Pull out that tree stump and mow that lawn; sometimes the best gifts are free. In this case, put on those working gloves and help your loved one with a project that’s long overdue. Are you good at sewing, gardening or fixing cars? Whatever the job may be, giving your time and energy to help someone complete a task is invaluable. In this case, time is worth more than money. Simply add necessary ingredients to an empty mason jar to create recipes for holiday drinks, pancakes or even baking mixes for a unique consumable gift. There are a ton of great recipes online, and plenty of opportunities to be creative with how you decorate your jar. Attach a card with instructions, and you’re all set. Find a photograph that holds personal meaning, whether it’s of you and your loved one or something else. Using an inexpensive frame or repurposing one can make a simple and thoughtful gift. By using free photo-editing software, you can easily enhance the image’s size and aesthetic, giving the photograph a new look and feel. You can print it yourself, or go to your local print shop for better quality. Making soap can be time intensive and possibly dangerous if you aren’t careful. But the result is a very unique gift that your recipient will love. By mixing fats, oils and a solution called lye, you can create your own handmade soap. Other things like herbs, aloe vera, coffee beans and even coloring can be added to customize your creation. There are several ways to make soap, so do some research to determine which method would work best for you. These are just a few examples, but the possibilities are endless. Thinking outside the shopping mall box will allow you to be more creative without having to spend a fortune. So this year, rather than making the same old purchases, give gifts that emphasize sentimentality, personalization and that evoke emotion. It’s the time of year to show appreciation for those who are meaningful. Do your research, be inspired and have fun! Giving a gift image via Wikimeda Commons.